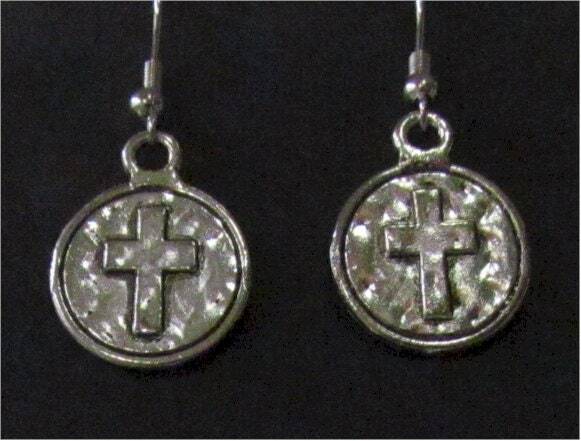 Ancient World looking Silver Cast Round Prayer Cross Earrings and Pendant. 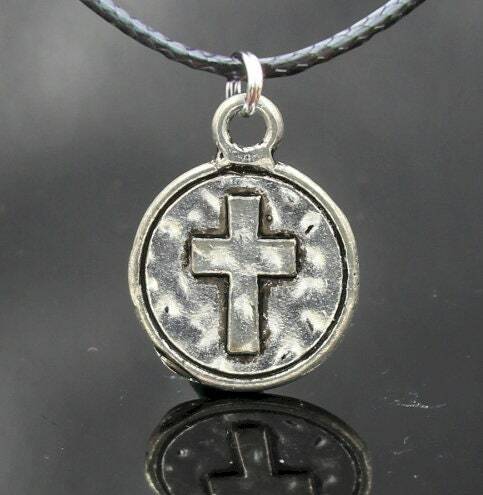 Stunning Silver Cast Round Prayer Cross medallion measures 7/8". Each Earring Set comes with a complementary ear wires and backs. Necklace comes with an adjustable length 18" black cord necklace with lobster clasp.